Whatever sniffles and sneezing Springtime might be sending your way, there is a natural alternative that has little to no side effects, and is good for you and the environment as well. 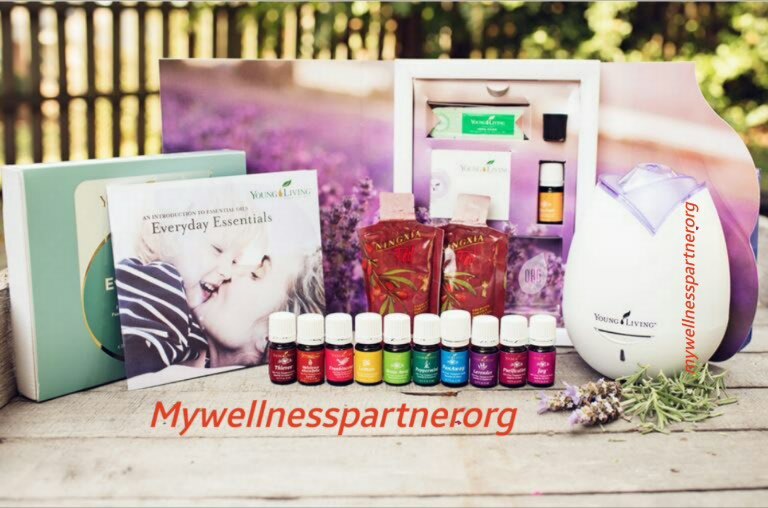 You can try in this kit from Young Living Essential Oils! ...from making your own bug spray, or body butters, helping you relax/sleep, reverse/treating disease, increase your energy and have an easy stomach while traveling! I will also personally send you a FREE gift to help you begin! ~A Top of the Line Diffuser-Which is an Atomizer that takes the benefits of essential oils into the air on Water Molecules. I’m so thankful for no more toxic air fresheners!! ~10 everyday Oils Kit, that has ten 5 ml bottles of oil, each with about 90 drops of oil in each bottle. JOY Blend- overcomes sadness and grief, depression. Purification-Cleans and disinfects the air, Neutralizes mildew, cigarette smoke, disinfects and cleans scrapes and cuts, and bug and spider stings and bites. And on top of ALL of that my members have resources!! 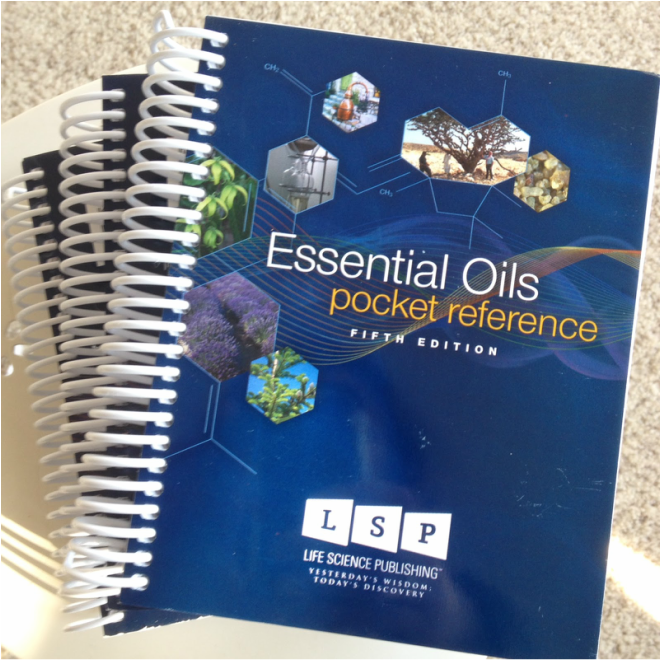 ... All of my new members also receive a FREE Pocket Reference (the essential oil bible!!) a priceless tool at a $25 value. Also, I will add you to our Facebook group where we help each-other and learn more everyday as we walk along our Essential Oil Journey together. As a member you are able to purchase oils at 24%off from then on…. ~No Monthly Requirements to Buy Anything!!! This weekend, at an outdoor event, I was mosquito food . I had carried a new purse and had forgot to put my 3 life savers, Peppermint, Lavender, and Lemon inside the new purse. After all it is still Spring, who is thinking about Mosquitoes? I definitely wasn’t. As I was bitten, once, twice, three times, my back, my leg and my arms itched like crazy until I was able to get home and rub some soothing. Lavender on my freshly bitten irritated skin….AHHHHHH. heaven in a bottle. The itch was relieved almost immediately. If I had remembered my Pepermint oil, I wouldn’t have gotten bitten in the first place. OUCH!! Essential Oils are great for treating most kinds of insect bites because of their outstanding antiseptic and oil-soluable qualities. Lavender and Peppermint reduce itching and reduce infection. So in today’s blog, I decided to share the wonderful Essential Oils that will help keep you from meeting the wrong end of a Mosquito, Bee or even the Deadly Brown Recluse Spider. PEPPERMINT KEEPS THE BUGS AWAY! Add peppermint to your favorite carrier oil. For me, I use Almond or Grapeseed oils because they are light oils which make them excellent for summer. You may also decide to add it to a spray bottle with distilled water for easy application. If you are unfortunate enough too actually get stung, here you will find some great recipes for relief. Bee Stings can be painful and annoying, but only rarely cause real problems with those who are allergic to the venom itself-then they can be FATAL. Do not squeeze the venom sack. Try not to scratch. Rub a small amount on skin, or mix in spray bottle with distilled water for best application. Flick or Scrape the Stinger out with a knife or other clean edged object, Like a credit card. Pay careful attention not to squeeze the venom sack. Apply 2-3 drops of the Bee Sting formula on affected area. Repeat every 15 mins for 1 hour. Then Apply 2-3 times a day until redness disappears. Apply liberally until you reach the ER! So, after The awesome presentation today I bought some Essential oils for my own personal use. I've been dealing with some painful personal relationship issues that require Healing, so one of the Oils I bought was FORGIVENESS. A powerful blend of essential oils that I was told would aid my ability to forgive. Then it occurred to me, that the person I needed most to forgive, was me. I needed to forgive myself for MY thoughts and actions, for attracting hurt and pain onto my life... Before I could forgive anyone else I needed to start with myself. So? Does the FORGIVENESS OIL work? I say emphatically YES! Thank you Rhonda, for sharing your knowledge and understanding of essential oils and their powers to heal, release and rejuvenate. Rhonda Byrd-Hemphill ( The Wellness Partner) is a very personable and professional wellness provider. Our first phone consultation was enlightening, I didn't know what to expect, I didn't know what I would find. What I got was acceptance, understanding and love. I found a great friend, guide and supporter. 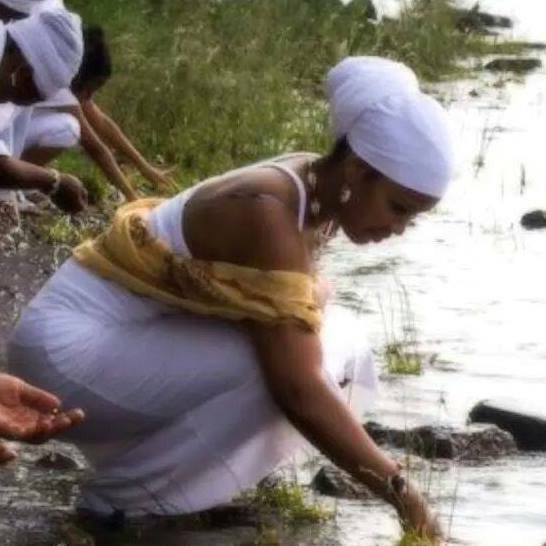 She literally holds your hand and guides you through and to your life journey.She has a keen understanding and is adapt at relating to your struggles/issues. Her approach is very loving and allows you to unlock and open up in ways you didn't think were possible. She makes you feel loved, understood and cared for. She offers knowledge, insight and intuition. Her approach is easy and comfortable; our sessions felt like "girlfriend conversations" nothing was strained or awkward. I enjoyed my time with Rrhonda and I will miss our sessions. She saved me Life, my Marriage and my Spirit. I was renewed, reborn and rewarded with self love. Thank you Rrhonda for being the blessing that you are. All health and health-related information contained within this website is intended to be general in nature and should not be used as a substitute for a visit with a health care professional. The advice is intended to offer only a general basis for individuals to discuss their medical condition with their health care provider. Your health care provider should be consulted regarding matters concerning the medical condition, treatment and needs of you and your family. Information published on this website is provided for information and educational purposes only. Red Clover. One of my favorite Herbs!!!! Why?? Because it was instrumental during my breast cancer scare. My GYN found lumps in my breast and explained that this may be cancerous. Because of his sense of urgency. I was given an immediate appointment with an oncologist. But after my first appointment with the oncologist, I had a mammogram, then an ultrasound, and with the results of "potentially cancerous" ...my Oncologist also developed a sense of urgency to remove the lumps and/or breast, before the disease could spread. However, at my GYN's first mentioning of cancer, I had already began to go into SELF HEALING MODE. So, No I was never diagnosed with cancer. In fact, the TUMOURS HAD SHRUNK by my scheduled surgical lumpectomy and biopsy, my blood work came back clean. I had done a 2 week PEAR fast utilizing anti cancer herbs like Red Clover, among others. Whatever it was... I had healed it. The TUMORS WERE GONE!!! This is the blessing that I have come to share. I'm ever so grateful for the adversities in my life! As a Teacher, I am excited to share this information with others. The body can heal itself, with the right tools. I can teach you how. Red Clover is a common herb. Red clover grows along side the road during the summer... beautiful fields of magenta blow in the wind mid July. 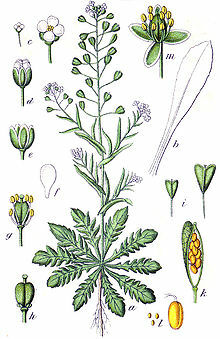 When taken as a tea (supporting body systems ) or herbal tincture (fighting disease). 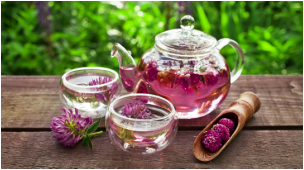 Red Clover makes your blood stream alkaline, such makes it a STRONG fighter against cancer. It clears lymphatic problems, kidney Issues, Malignant Ulcers and is great in a compress for old stubborn wounds. It was praised by Jethro Koss author of the respected BACK TO EDEN as he had great success with Red Clover. When used topically, shepherd's purse is applied to lacerations and traumatic injuries of the skin to stop bleeding and promote healing. Herbalists also use the herb topically for eczema and rashes of the skin. This Herb, and others, are used in my WELLNESS PLANS. 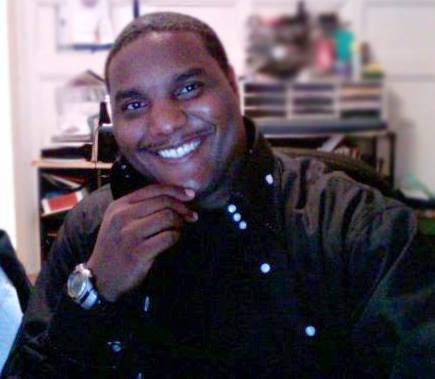 is a Health Educator, Natural Food Advocate, Herbalist and Wellness Mentor, who assists individuals on their health journey.